Whilst pest control is not our remit, it is clear from even the most rudimentary search on the internet that knotweed is extremely hard to deal with, but despite this it cannot be ignored. It needs professionals using heavy duty chemicals to eradicate, and is easy spread just by getting spores of it on footwear. It is capable of destroying homes as its iron like stems push through bricks, mortar and everything in its way. The financial ramifications are huge – seeing knotweed on a survey signals the death knell of many a sale. 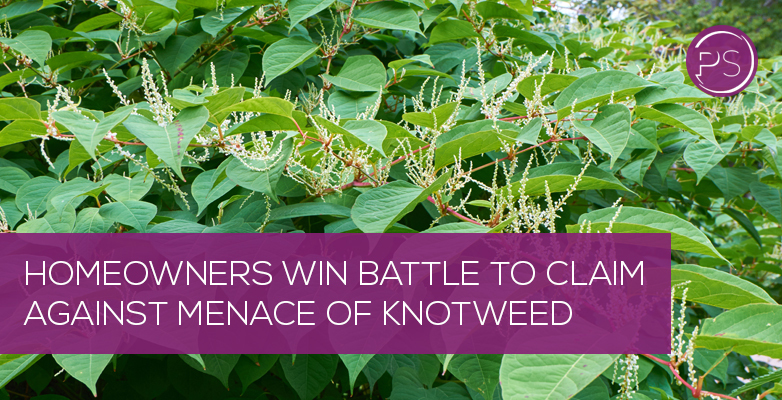 Therefore, news that Network Rail has lost an appeal to two homeowners after Japanese knotweed spread onto their property in Wales is hugely significant. Stephen Williams and Robin Waistell had sued the rail giant fearing the impact on their homes near Bridgend. Mr Waistell had at a previous court case been awarded £15,000, but Network Rail had thought it unreasonable. The Court of Appeal ruling will now have widespread implications after three leading judges ruled in favour of the two gentlemen. It sends out a clear message that all landowners with this hideous destructive plant on their property must face up to the issue or face severe consequences. Good conveyancing experts look at all matters that could cause concern to someone buying a house, flat or any kind of property and flag it up. It could be land issues, a proposed road and many other things besides. Of course, this is frustrating for those wishing to get the keys as soon as possible, but conveyancing experts know the lie of the land, if you pardon the pun. They flag up potential issues early and leave those looking to make expensive property purchases armed with all the knowledge they need. That is why quality conveyancing in London and all over the UK is so vital. It cannot be underestimated.